In 4-quart saucepan, mix soup and water. Heat over high heat, stirring constantly, until boiling and smooth. Add broccoli. Heat to boiling; reduce heat to medium. Cover; cook 8 to 10 minutes, stirring occasionally, until broccoli is tender. Stir in milk, mustard, salt, garlic powder and pepper. Cook uncovered 3 to 5 minutes, stirring occasionally, until thoroughly heated. Stir in cheese until melted. 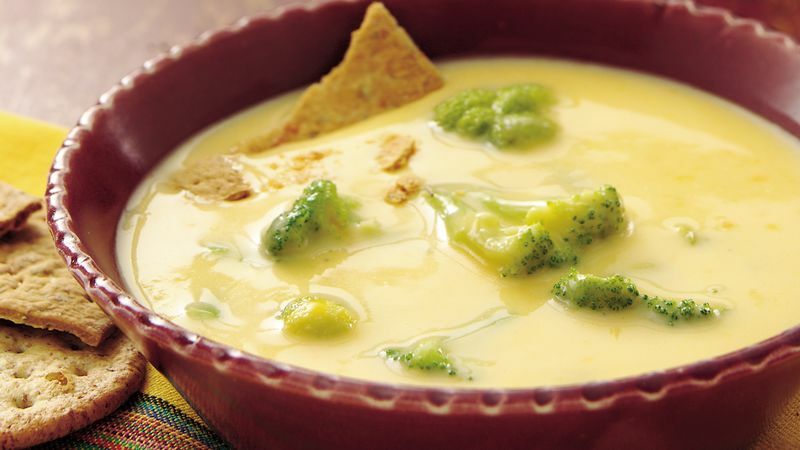 Be sure to stir in the cheese just until melted and serve the soup right away to help prevent curdling.